Birmingham Opera Company’s production of Mittwoch Aus Licht, has been shortlisted for two top awards in the world of opera. The company’s innovative staging in a disused warehouse in Digbeth last summer attracted hundreds of international Stockhausen devotees from as far afield as Japan and the USA. 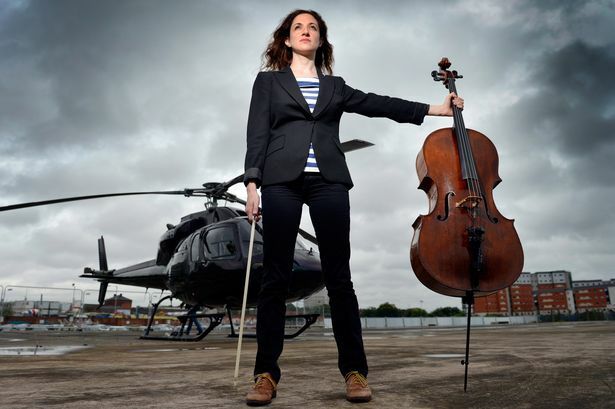 This was the first ever performance of the six-hour epic, which featured a string quartet live-streamed from a helicopter, a camel, and a chorus of around 130 people from the local community. The mammoth proportions of the production have earned Birmingham Opera Company a nomination in the Opera and Music Theatre category of the Royal Philharmonic Society (RPS) Awards, and in the World Première category of the International Opera Awards, taking place later today. Here’s wishing Birmingham Opera Company the best of luck for this evening, and for the RPS Awards next month! We hope the pioneering company continues to push boundaries, and of course use Digbeth, in future performances.